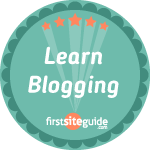 This site is dedicated to mobile business apps but occasionally we have to expand our range a bit. 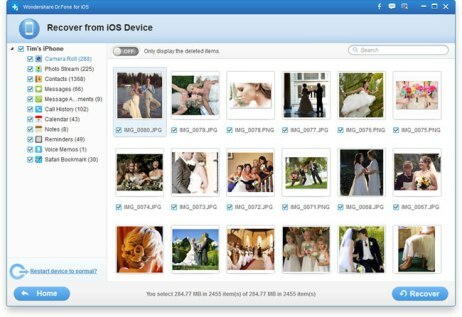 Today we’re looking at a Windows app, Dr. Fone for iOS, which lets you recover deleted data from your iOS device. The prevalence of iPhones and iPads in today’s business environment means that sometimes critical data could be lost forever if there is an accident or if the user deletes it by mistake. So I decided to install Dr. Fone on my desktop and see how it would do in recovering data from an iPhone 4. The iPhone 4 is my daughter’s…so I had no idea what I’d find on there. Once installed, I simply plugged in the phone and Dr. Fone prompted me through all of the steps to boot into recovery. Once there it scanned the phone for deleted items. One thing I like is that it organizes the items by type and lets you preview easily. You then check what you want recovered and click the Recover button. Very simple. I also tried recovering from iTunes backup. 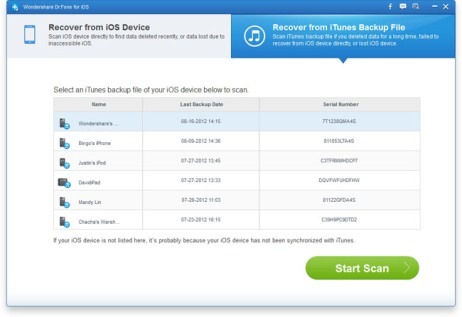 This time Dr. Fone automatically found all iTunes backups on my computer and allowed me to choose which one to scan. 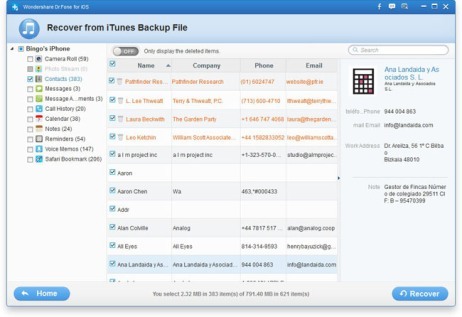 Very useful for extracting specific items from the backups. I’d like to say more about the recovery process but it really is very simple. There’s not a lot to say about it. Dr. Fone worked very fast and recovered the files flawlessly. 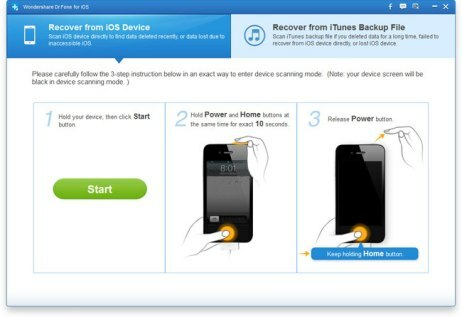 Recovery from Device or iTunes backup – This means that you can directly connect your phone to the computer and recover your files or you can recover them from an iTunes backup. This is useful if you only need certain data from an iTunes backup but don’t want to recover the entire backup. Preview Before Recovery – This is nice for checking to ensure it’s the data you want to recover. The only limitation is video files. Re-sync Recovered Data to your iOS Device – Using MobileGo for iOS you can easily restore your recovered data to your iOS device such as recovered contacts, photos, and videos. a handy software to recover lost data.